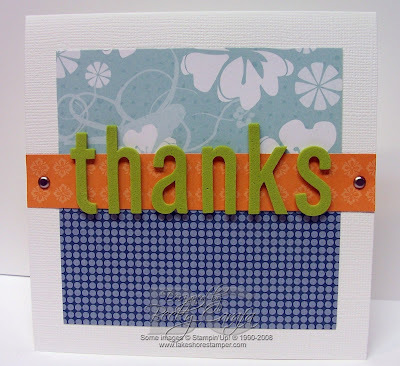 Just an easy card for you today, no stamping on this one (no ribbon either)! Thanks for stopping by, hope your week is off to a great start! Cute, cute cute! I love simple cards like this! Becky I love this! I may be simple, but it looks awesome!! I love the paper you used! very pretty color combo, Becky! I love simple and clean looking cards! This is really cute!! Love the simplicity!! :) TFS! What a delightful card Becky! great card! simple and clean...this is your signature!